The latest and perhaps, “most significant”, move in this process is our move into an indoor training environment with 16 “Wall Ball Courts” (patent pending in North America and UK). These are designed to perfect your child’s first time shooting ability in the most enjoyable and motivating way imaginable. These courts will provide Legends players with first time shooting technique repetition in a fun, skill specific, tactically pressured environment. The Legends club is already famous for developing the best deceptive dribblers. 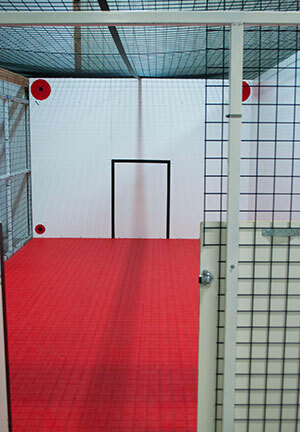 Our new “Wall Ball” shooting environment will improve your child’s "big play" shooting skills by an estimated multiple of more than ten times greater than any other shooting situation or drill that we have ever seen. A multiple of twice of anything is wonderful! Ten times the development is literally amazing! The extra shooting skills that your child will acquire, (and their inevitable transference to passing brilliance), will result in respect and leadership in high school, ODP and collegiate soccer. After years of practice in the Legends “Wall Ball” courts our players will stand out when they play on any team outside of the Legends club. Your child’s tremendous shooting skills will mark him/her as that “special player” who is able to score the most difficult of goals “under pressure” or play that fantastic penetrating first time pass. first time ball striking ability than players who do not have access to this incredible resource! last twenty years the Legends club has created many unconventional ways to accelerate neuromuscular learning and character growth. By using unique methods Legends coaches are able to create and nurture technically and tactically brilliant players. There are limits to human capacity but no one ever reaches “the summit” of their potential. The Legends method and our new training center will give your son or daughter the essential impetus to reach “the summit” of his/her potential by a factor many times greater than other methods. Great shooters, the real pure shooters in the game, can score from anywhere near the penalty area. What is their secret? There is no secret! They practice and repeat the skill of shooting more than others, therefore they score more. Good shooting isn't an accident. It doesn't happen by mistake. It isn't the result of half-hearted or lazy practice habits. Really great shooting is the result of shooting thousands, or even tens of thousands of practice shots from all angles and heights. It is the result of practicing your shot every day, week and month for years so that you groove your form to make shooting the ball with accuracy and power second nature, intuitive and automatic. A great shot is the result of establishing accurate muscle memory so that the shooting motion is automatic. When you repeat a good technique thousands of times you don't have to consciously think about your shot mechanics...you shoot the ball with perfect form, just like you've practiced many times before. This is the only way for you to get good and stay good: You must repeat good form, and practice it over, and over, and over again. Then practice it some more. Repetition is the key to grooving your shot during the off-season, and keeping it dialed in during the season. Unfortunately the word “repetition” conjures up images of boredom. Repetition smacks of “rote learning” and mindless technique drilling. In the new Legends facility shooting repetition is the most exciting skill. It is practiced in the most fun and competitive environment. Each player is guaranteed to be in the shooting mode for exactly 50% of each practice. We are structuring our environment uniquely and specifically so that you will practice in a first time shooting mode for half the total practice time. You will enjoy the opportunity to develop finishing skills at the fastest pace possible under shooting conditions far more challenging than the game situation. Furthermore the environment is structured in such a way that the “down the middle shot” is punished and the “upper90” or corner shot returns the greatest rewards. Our Legends coaches truly believe that we are creating a unique “one of a kind” facility that can only help you rise to greater individual prominence and success on the local, regional & national soccer scene. You will now enjoy the proven benefits of our unique philosophy of character training for life through soccer much faster than ever before. For more information about the wonderful array of programs in our new facility please contact KC Legends alumnus Kyle Hogge on 913-851-9898 x 36. Kyle played for the Legends from age 4 until 19 and earned an NCAA Division One scholarship to Drury University in Missouri. Kyle coaches in the Legends club and will help your player develop the ability to beat opponents and score great goals.